If you are looking for a Samsung mirrorless camera under eight hundred bucks, make sure to take a look at Samsung NX300 and Samsung NX500. Some time ago, we also compared both Samsung NX300 and Samsung NX500 to Samsung NX3000, a budget pick that comes with interesting features. This time, we are about to discuss the differences between Samsung NX300 and Samsung NX500 in order to determine which model possesses the best value for our money. Continue reading below for the complete comparisons. – Each of the models has an external flash shoe for using flash without causing the red-eye effect, but neither has built-in flash. – Both models support AE bracketing, which is very useful for tough lighting conditions and HDR photography. With AE bracketing, you can have a better focus control for near or far objects. – Both Samsung NX300 and Samsung NX500 support continuous shooting mode, and they have similar speed. Both models can capture still images as fast as 9 frames per second. Such speed is certainly sufficient to take pics of fast-moving objects quite sharply. – Each of them has an articulating screen. This is a hugely beneficial feature that will allow you to shoot from tight angles while still seeing exactly what your camera is aiming. – Samsung NX300 and Samsung NX500 have wireless connectivity for easy and practical file sharing across various devices. – Samsung NX500 is armed with a more powerful engine than Samsung NX300. It has a 28.2MP BSI APS-C CMOS sensor complemented by the DRIMe V image signal processor. Meanwhile, Samsung NX300 still relies on a 20.3MP APS-C CMOS sensor and DRIMe IV processor. As the effect, Samsung NX500 can deliver larger and much sharper images. It is capable of picking fine details that are even better than many other models on the market. – Still related to the previous point, because Samsung NX500 has a more powerful sensor than Samsung NX300, of course, it can also create videos in a higher quality. In fact, it is able to record 4K Ultra HD videos at an adequate frame rate of 24fps, which is similar to the smoothness of TV content. – Samsung NX500 has a wider ISO range than Samsung NX300. Its color depth and dynamic range are also better. Thus, it can generate more accurate vibrant colors. – Samsung NX500 now supports time-lapse recording. – Samsung NX500 has a slightly longer battery life than Samsung NX300. – Samsung NX500’s LCD screen resolution is considerably higher than Samsung NX300’s, which is slightly larger. 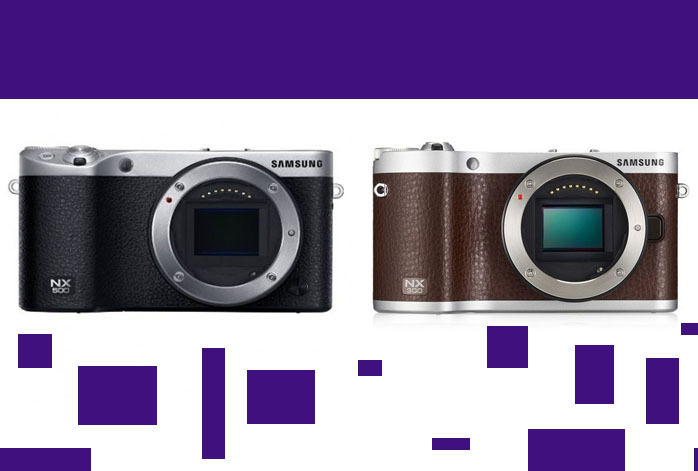 – Samsung NX300 has 247 focus points, while Samsung NX500 only has 209 focus points. However, this difference is kind of outweighed by the other advantages that Samsung NX500 has. Samsung NX500 is a nice step up from Samsung NX300, bring upgrades and additional features into the deal. Therefore, Samsung NX500 makes the best value and is the way to go!